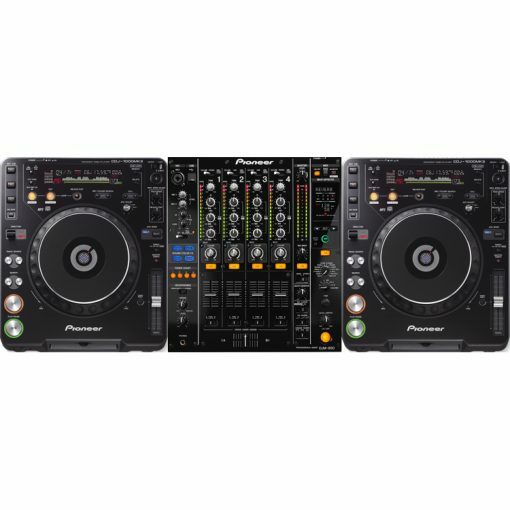 2 x CDJ-1000 Mk3 CD players. The DJM-850 combines future-proof technology and DJ’s favourite features. The 4 channel DJM-850 boasts studio-quality FX for endless creative possibilities and an unrivalled DJing experience. The mixer’s Beat Colour FX uses side-chaining to add another layer of manipulation to the Sound Colour FX. 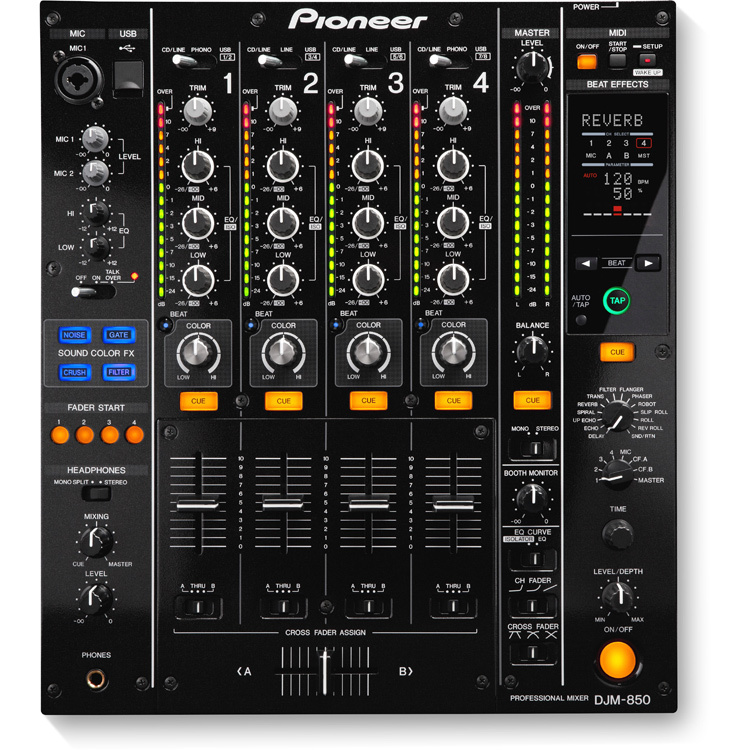 This is a fantastic DJ mixer packed with useful features and boasting superior sound quality. Fully equipped and used by world-renown DJs for years, the ingenious CDJ-1000MK3 houses a host of refined ‘feel-good’ features. Truly an industry standard CD player, the CDJ-1000MK3 combines convenient MP3 compatibility, a fast folder search facility, enhanced presentation of track/wave data and an improved jog wheel with adjustable traction. 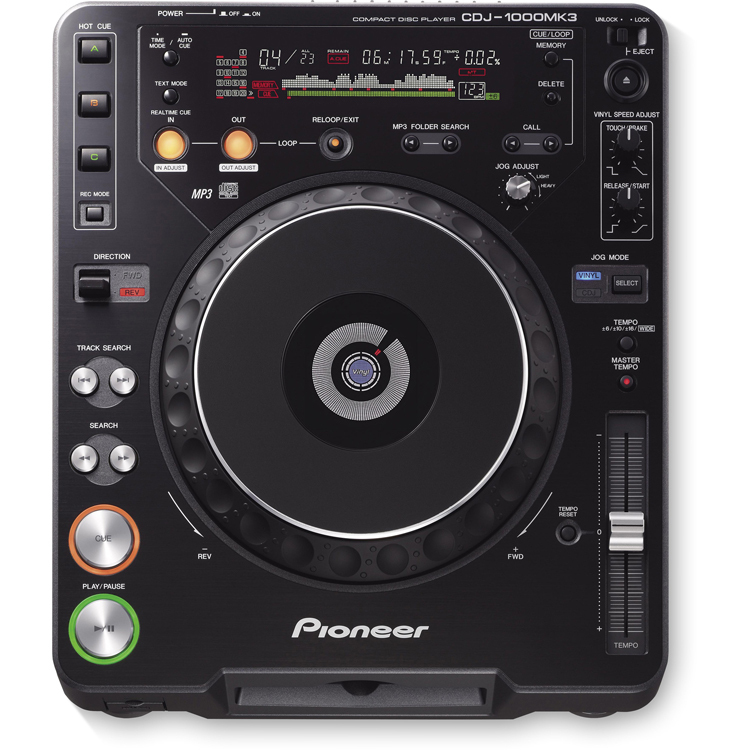 The CDJ1000MK3 is designed to deliver a fantastic DJ experience. Despite being discontinued a while ago, the CDJ1000MK3 is still one of our most requested CD players.